The most frequently asked question at our Orchid Show last year: “How do I repot my orchid?” The answer is with tender loving care, of course…and these easy-to-follow tips found on our website. A Paphiopedilum, or lady slipper orchid, is another popular orchid with collectors: it prefers high humidity and indirect light, faring best in eastern early morning light. But how do you ensure early success? Just as we learned in our first video, Repotting Orchids, Part 1: Phalaenopsis, it’s always best to repot your orchids shortly after purchasing them—the sphagnum moss in which they are sold provides too much constant moisture for the plant, and can damage the delicate, epiphytic root system. Anne Nies, a master’s degree candidate in the Garden and Northwestern University’s Plant Biology & Conservation program, is an expert in all things orchids, both native and tropical. She is also a member of the Illinois Orchid Society, which holds its spring and fall orchid shows at the Garden. She took some time this past fall to show me (and you) how to repot our orchids to maintain a healthy growing environment. Our second video details step-by-step instructions for repotting a Paphiopedilum orchid, which has different watering and culture needs from a Phalaenopsis. After your initial purchase and repotting, you should repot your orchid when your plant has finished blooming. 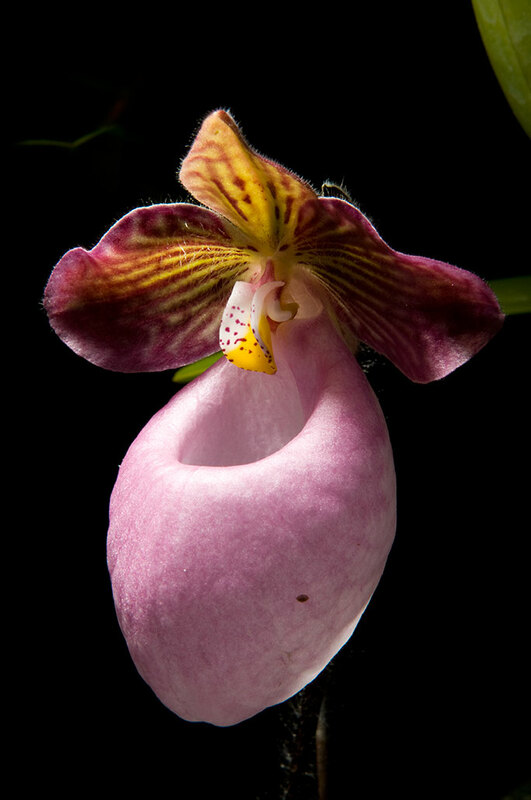 Mark your calendars for the Garden’s newest exhibition, the Orchid Show (purchase tickets here). Orchid lovers of all levels are sure to learn a lot more about orchids at the show. Can’t wait! 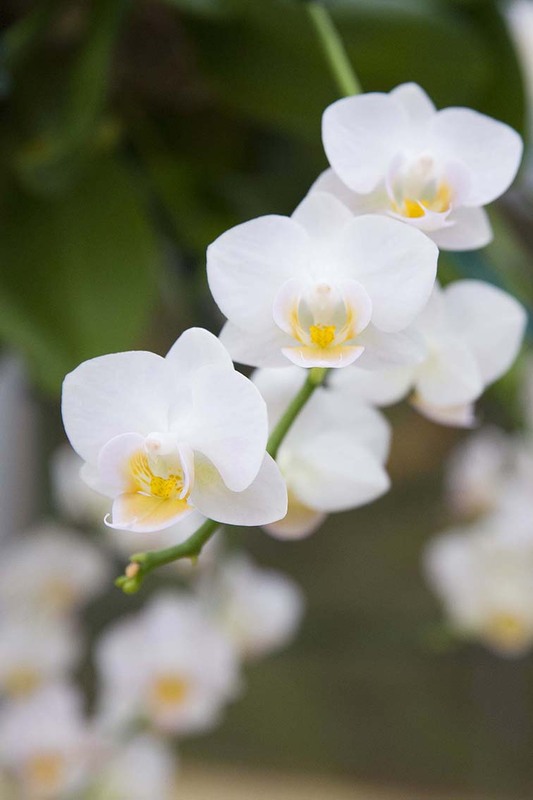 A Phalaenopsis, or moth orchid, is called the “gateway orchid” for beginning collectors: it requires very little care, and yields great rewards with blooms that last up to three months! Early success with a moth orchid leads growers to try other species and, finally, to orchid addiction. But how do you ensure early success? As a new orchid grower, I was not aware you had to repot your orchids shortly after purchasing them because they are often packed in sphagnum moss, which provides too much moisture for the plant. I was also not aware that you should repot your orchids every one to two years to maintain healthy plants. Our first video details step-by-step instructions for repotting a Phalaeanopsis orchid. Stay tuned for part two next week, when Anne reviews the different approach used in repotting a Paphiopedilum orchid, which has different watering and culture needs. Video note: soaking the orchid you are repotting in virucide should not be a replacement for watering. After soaking the plant in the solution, repot and water well. Make sure your container has good drainage holes, is planted in a well-draining bark media (not moss), and the plant is never allowed to sit in a saucer of water.